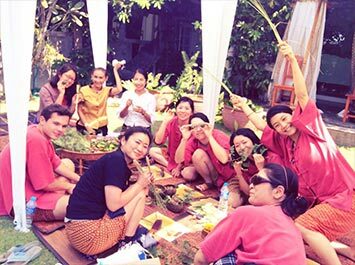 The ITM School offers a wide array of spa-related courses at its nearby health spa facility – Chiang Mai Spa Mantra. All curriculums are taught in English by ITM-certified and experienced instructors. Visit www.spamantra.com for full details. 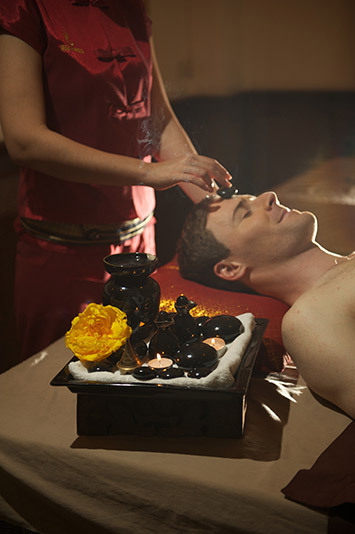 This course combines Swedish, Thai, Tibetan and Indian massage techniques with two types of oil massage, each respectively for energizing or relaxing. While massage theory is introduced, this is practical and hands-on instruction that covers treating the entire body. 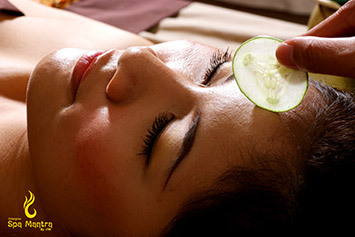 Swedish massage aims for relaxing superficial layers of the muscles and restoring balance to the lymphatic system. 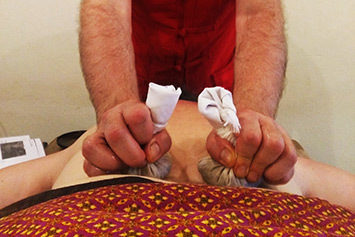 While standard Swedish massage techniques – such as effleurage, petrissage, friction and percussion – are used in this course, students additionally learn how to integrate ITM's smooth, slow-paced methods into the treatment. This course covers special techniques related to effectively using the thumbs, elbows and palms for digging deeply into the various aches and pains often associated with strenuous bodily activities. While anatomy basics are covered, this course focuses on treatment methods. 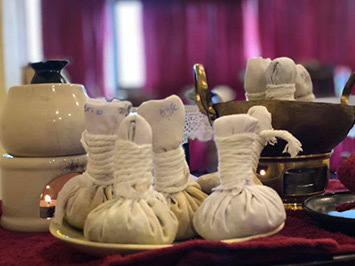 While most hot stone massage treatments include merely placing stones on designated bodily areas, ITM's unique version of this healing art additionally integrates wholesome, energy rich Tai Chi movements into the therapeutic movements. 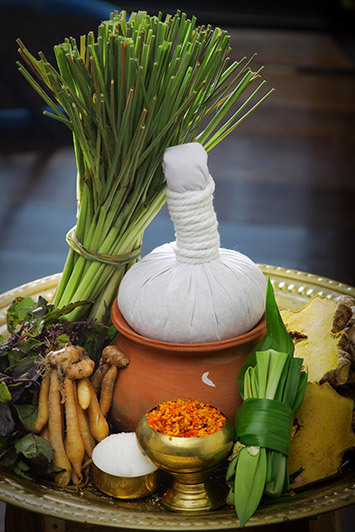 Prepare and apply a nine-step, Thai herb and vegetable rich facial therapy that includes a cleansing process, toning, scrub, hot and cold packs, massage as well as a mask and moisturizing treatment. 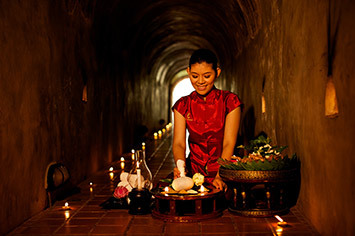 Training related to a health enhancing body scrub treatment is also part of this program. 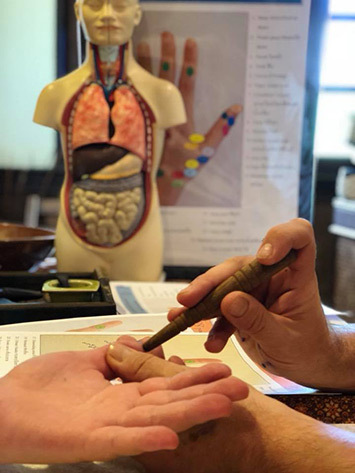 Similar to foot reflexology, this course covers how to use the easily accessible and self-treatable hands as a means of restoring and maintaining bodily health. 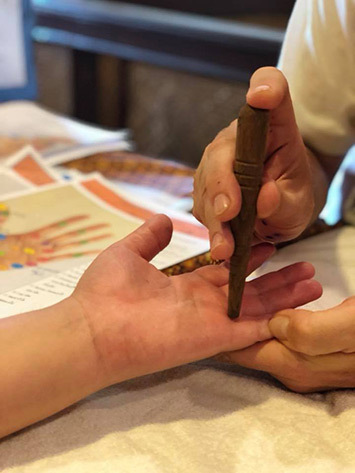 Benefits of hand reflexology include the reducing of stress as well as relieving pain in the hands and arms that may be associated more serious conditions such as multiple sclerosis and rheumatoid arthritis. 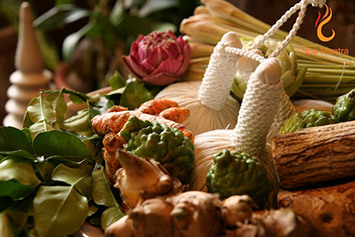 Acquire knowledge about traditional, Thai herbal ball compress treatments that combine a concoction of Thai herbs and steam with traditional, Nuad Bo-Rarn techniques. 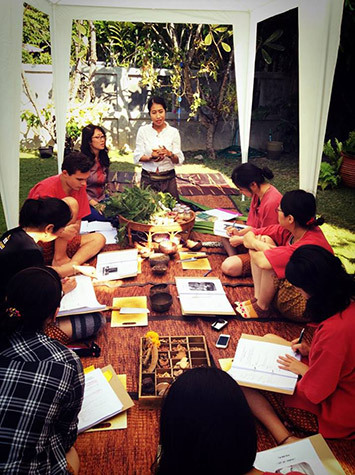 Students learn how to make the herbal ball compress from scratch, as well as about the herbs' medicinal properties. 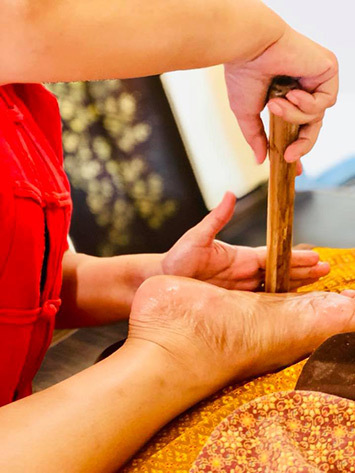 Learn about using a special, wooden hammer and wedge for creating rhythmic vibrations that stimulate a wide range of health benefits – relief from tired muscles, to more serious ailments such as rheumatism, pinched nerves, energy lines disease and paralysis. The techniques covered in this course cultivate physical and spiritual well-being for both the mother and unborn child. Likewise, gentle, sliding massage movements, as well as proper usage of baby-safe products, are the basis of this instruction. This course is infant centered, in the sense that properly massaged babies are more relaxed, sleep better and are more alert when awake. This nurturing also assists with healthy bodily and psychological development, resulting in improved self-esteem and overall health. 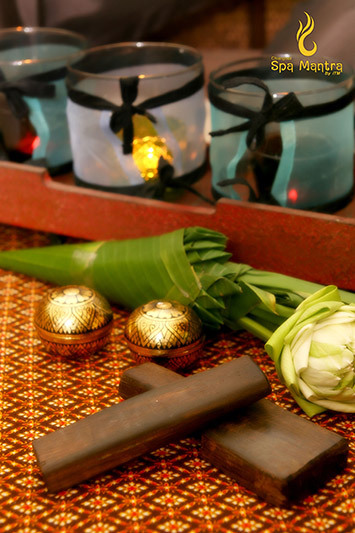 This extensive course covers all facets of yoo fai – post-natal treatments for restoring and maintaining a mother's overall state of biological, psychological and spiritual well-being. 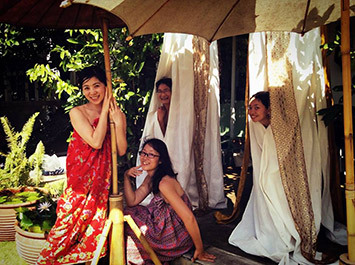 Specially designed herbal scrubs, wraps and baths, as well as Thai massage, exercise and nutrition routines are part of this instruction. A unique, cloth wrap treatment for slimming the waist area and firming the skin is also a component. 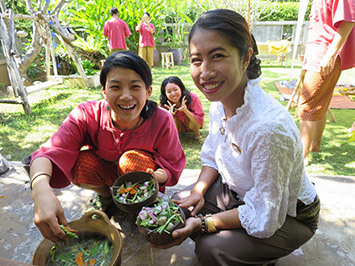 For the mother's inner restoration, students prepare nurturing therapies including use of a clay pot containing heated sea salt that is pressed upon the womb area, effective at clearing away post-birth organic material. 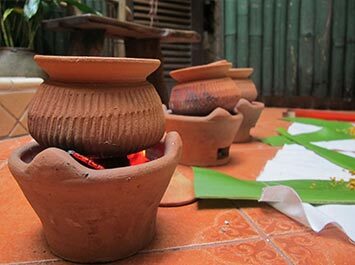 The preparation of an enclosure amid which the mother absorbs the benefits of an herbal steam bath – as well as nung thaan, involving an open-seated chair placed over a charcoal fired herbal treatment – are also included in this wide array of nursing therapies. This massage technique is learn how to reduce the appearance of cellulite. Cellulite is a type of fat that is close to the surface of the skin. The fat cells are pressed against the underlying skin structure, which leads to a distinctive "cottage cheese" appearance. Cellulite is most apparent on the hips, thighs and belly. 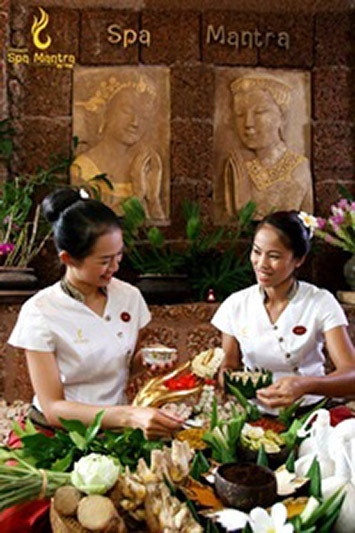 Learn Thai Lanna wisdom with 5 senses are including sight, taste, scent, sound and touch (massage), which is the identity of Lanna Spa. 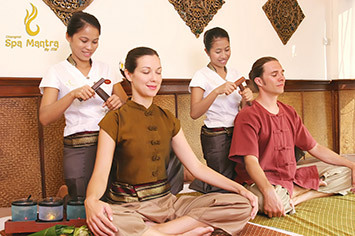 Technique of Bamboo massage is good for circulation, sensory nerve perception, and lymphatic drainage and provides a deep sense of relaxation and well-being. An added benefit for the practitioner is that using the bamboo sticks helps to reduce stress and strain on hands and fingers while still allowing for deeply penetrating maneuvers.